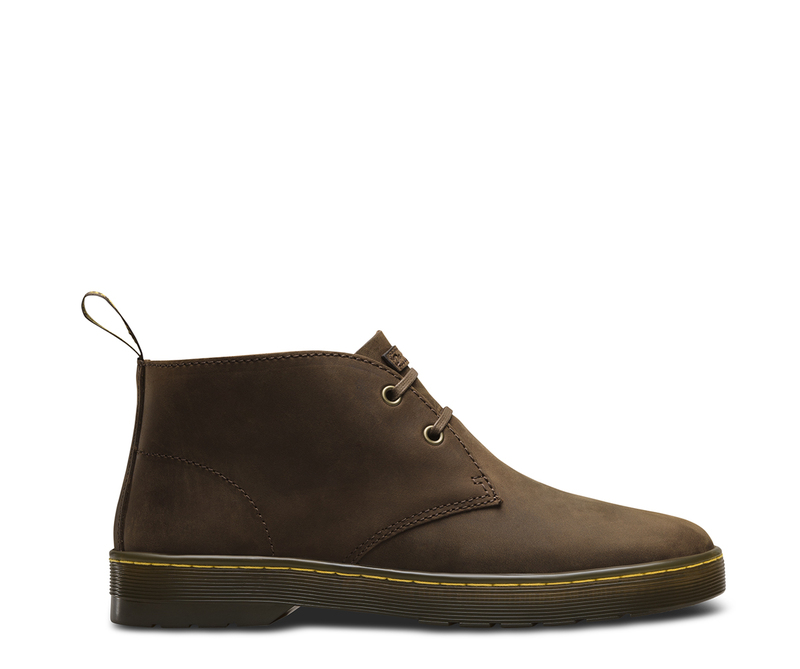 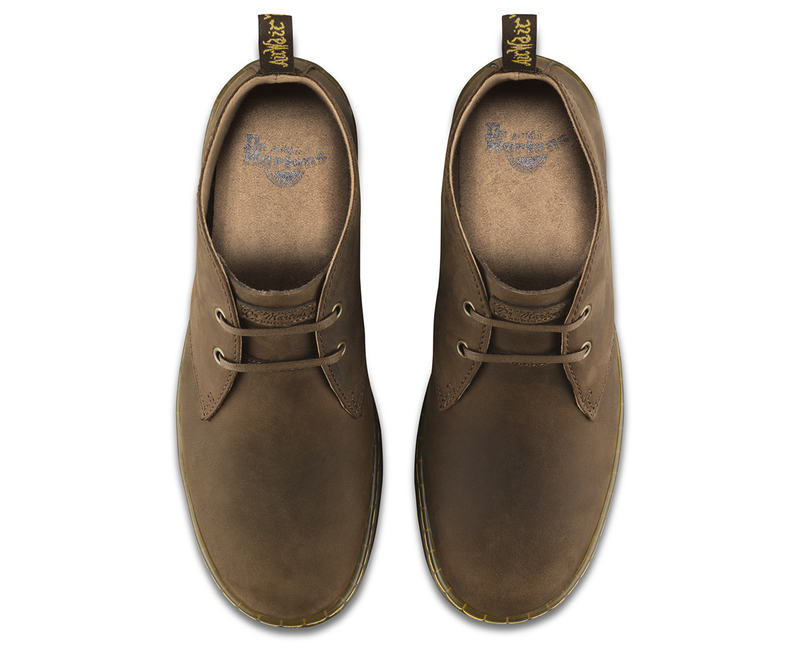 Tread softly in this sleek and simple two-eye desert boot. 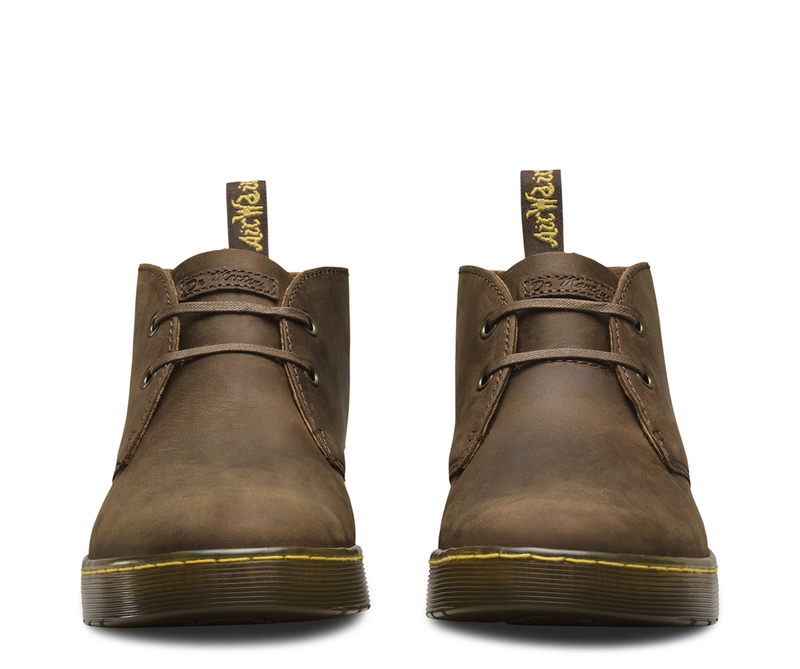 Part of our Cruise collection, it's crafted from soft, lightweight Crazy Horse leather with a worn and rugged finish that gives it a perfectly broken-in look and feel from day one. 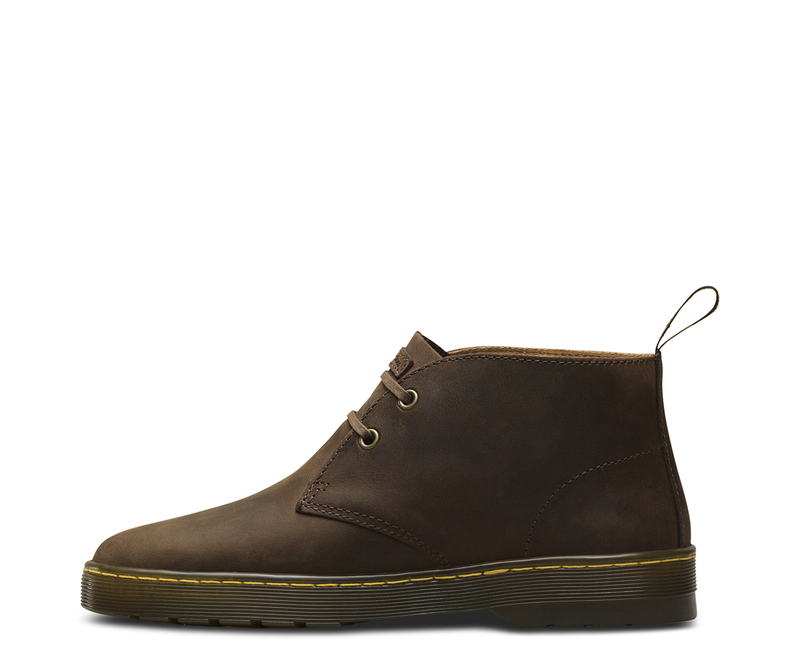 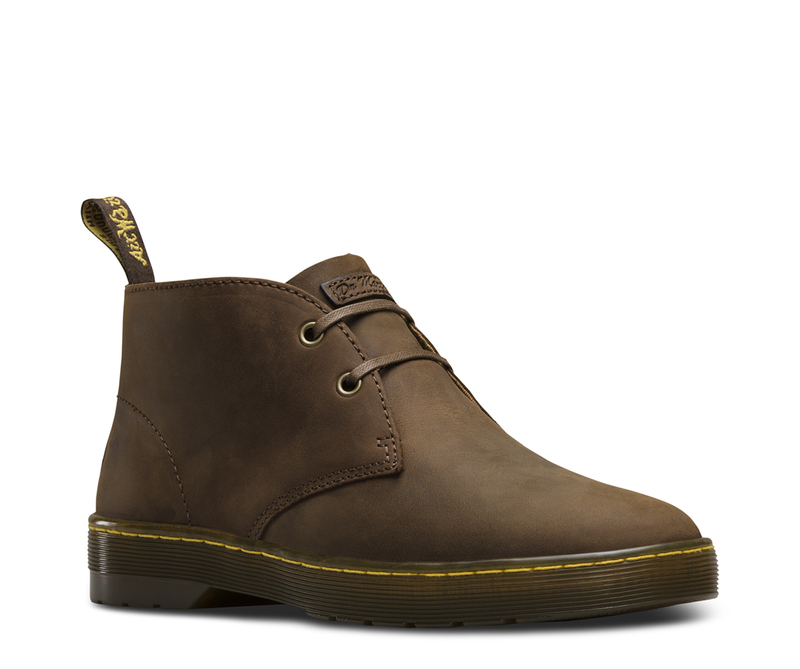 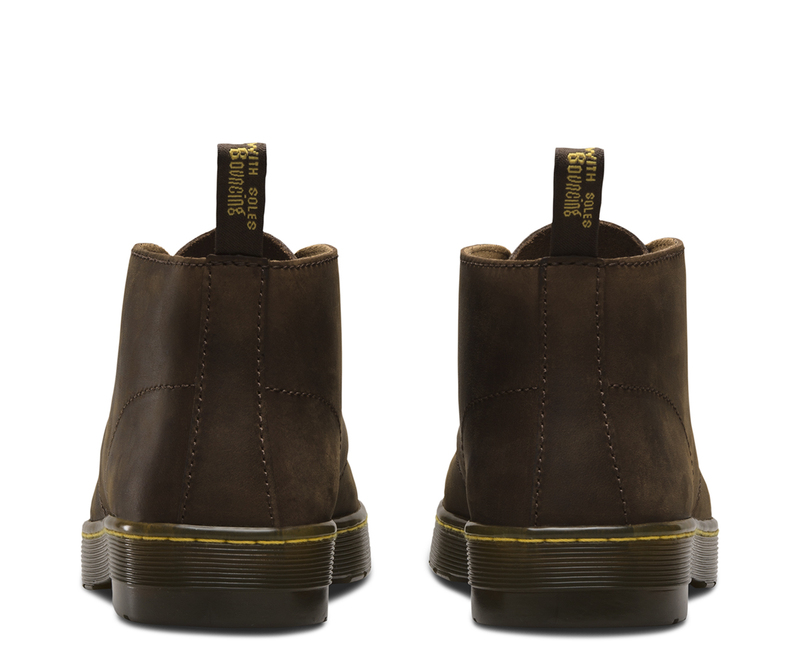 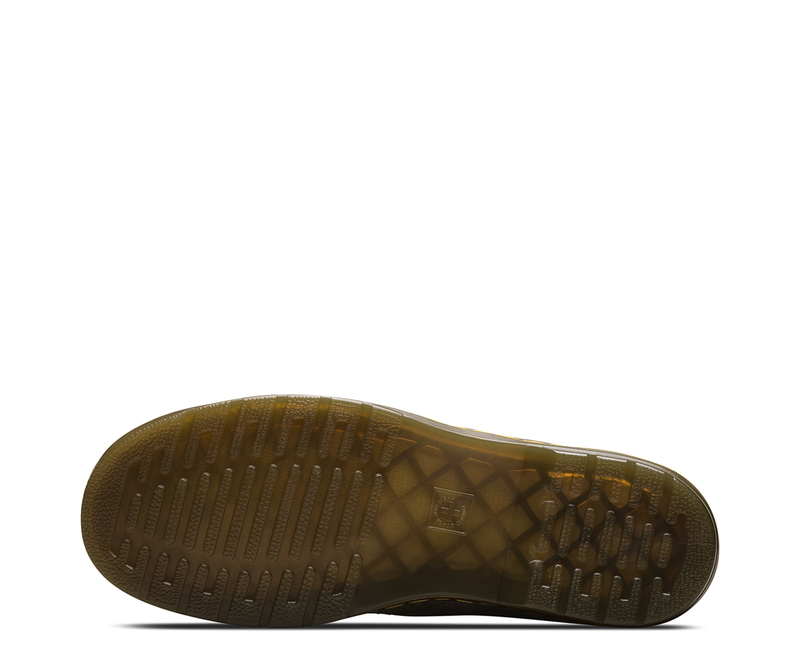 Our grooved air-cushioned sole, logo heel tab and yellow welt stitching mark this as a Dr. Martens original.